ITM Poland is an international trade fair that brings together specialists of the manufacturing industry to showcase their latest innovations, technologies and machines. The 2019 will focus on Industry 4.0 and is set to be held from June 4th to June 7th, at the Poznań Congress Center in Poznań, Poland. 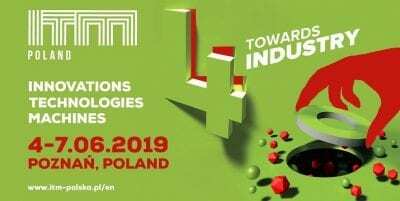 ITM Poland 2019 serves as a global venue for leaders in production automation to learn about the latest technological insights. Last year, a record-breaking 1,000 exhibitors from 28 countries showcased their products, attracting over 17,000 exhibitors globally. With a total of seven showrooms, ITM Poland 2019 will house the latest developments and solutions in key industry branches.